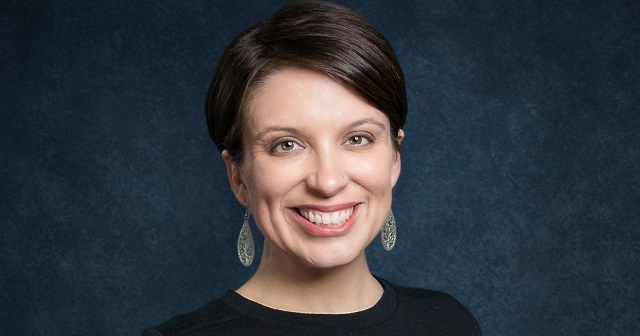 For her work to support and empower the women of Westminster, Reverend Jamie Haskins, Chaplain, Director of the Center for Faith and Service, and Instructor of Religious Studies, will receive the 2018 Remley Women’s Award during Alumni Weekend 2018. Rev. Haskins is an ordained minister in the Christian Church (Disciples of Christ). She earned her undergraduate degree, a Bachelor of Arts in English and Religious Studies, from Stetson University in Deland, Florida and completed her graduate studies at Vanderbilt Divinity School in Nashville, Tennessee where she graduated with a Master of Divinity in 2009. Following her graduate studies, Haskins was awarded a “Minister in Residence” position through the Transition into Ministry program, funded by the Lilly Endowment for Theological Education. This role took her to Seattle, Washington, where she served as the Minister of Faith Formation and Social Justice at University Christian Church (Disciples of Christ) from 2009-2011. Haskins came to Westminster College in September 2011. Since then she has infused the campus with her passion for social justice and her unrelenting faith. In the classroom, she challenges her students to look at the world and scripture through a different lens. She oversees the Center for Faith and Service that sponsors campus-wide events such as Spiritual Life Thursday events and Diversity Dialogues. Haskins will receive the award during a special ceremony on Alumni Weekend, to be held on Westminster’s campus April 19-22, 2018. 2014: Beth Stubbs ’00, Trustee, 2013-16. 2013: Dr. Carolyn Perry, Senior Vice President and Dean of Faculty. 2009, Betsy (Schultz) Humphreys, ‘83, member of the first graduating class of women at Westminster. Westminster Parents Association President, 2008-09. 2008: Anne (McIntosh) Schneider, ‘85, first female Westminster College Alumni Association President, 2003-2005. Lifetime Trustee, 2015-present. 2007: Ann Lael, Asst. Professor of Mathematics, Faculty Emeritus. 2006: Sally W. Reynolds, Director of Career Services, 1968-1998. 2005: Janice Mathews-Gordon, ’81, first female graduate. Trustee, 1997-2006. 2004: Linda Doolin Ward, Lifetime Trustee, 2009-present. 2003: Leetha Grace Craghead, Lifetime Trustee, 1986-present. 2002: Dr. Linda Schelbitzki Pickle, faculty, 1974-1999. 2001: Dr. Audrey J. Remley, former Associate Dean of Faculty, Faculty Emeritus. A recipient was not awarded in 2012, 2011, 2010.